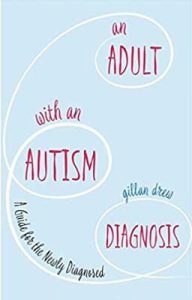 This book is interesting from the very beginning as Gillan gives a brief and honest summary of what his life was like pre-diagnosis. Sadly, his diagnosis left him with no follow up, no advice and no guidance; so he wrote his own manual. The author writes candidly about coping with the daily reality of ASD. It is hugely helpful to read about things that truly do affect us and a valuable reminder of how much we as ASD people have to try and cope with. This book tells it how it is, with complete honesty. It is a relief to read it. Many excellent books are written about the ASD/Asperger condition but somehow, this one is more relatable to. There are many “light bulb” moments and some great analogies. Gillian covers real life from the small stuff to bullying at school and in the workplace, abuse by “friends” and more. His writing about parenting is not something I have come across before and it contains superb advice for people who are considering becoming parents and also families with babies and young children and beyond. I have ordered a copy of this book, it’s a keeper and a sharer. Written with such openness, I fervently recommend this book for all adults affected by the diagnosis, including families and friends.